Concierge Medicine is a contemporary approach to the doctor/ patient relationship. Long waits, impersonal visits are replaced with same day visits and the doctor’s private cell phone number. The visits take as long as needed to address your concerns. The concierge style physician becomes your single source for all things medical. Your personal physician is a trusted friend and advocate, fully prepared to help you navigate the increasingly complex health care system. In the event of emergency or hospital care, you are closely monitored and care is discussed with the specialist involved. 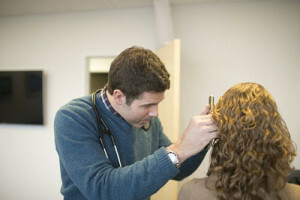 Concierge medicine is an approach to providing primary care in which the patient submits an annual or monthly fee (see our fees here) or retainer to the physician directly, which removes added expense, excess paperwork, privacy issues and undesired influence over your medical care, allowing the doctor to focus completely on providing direct access and more personalized care. Our goal is to restore the doctor-patient relationship by providing a patient-centered medical experience in a relaxed environment and removing the usual constraints on the physician and avoiding obstacles for the patient to access affordable comprehensive medical care.